These are links to external sites and I can't be held responsible for either their content or consequences of visiting them! Click on the image to follow the link. 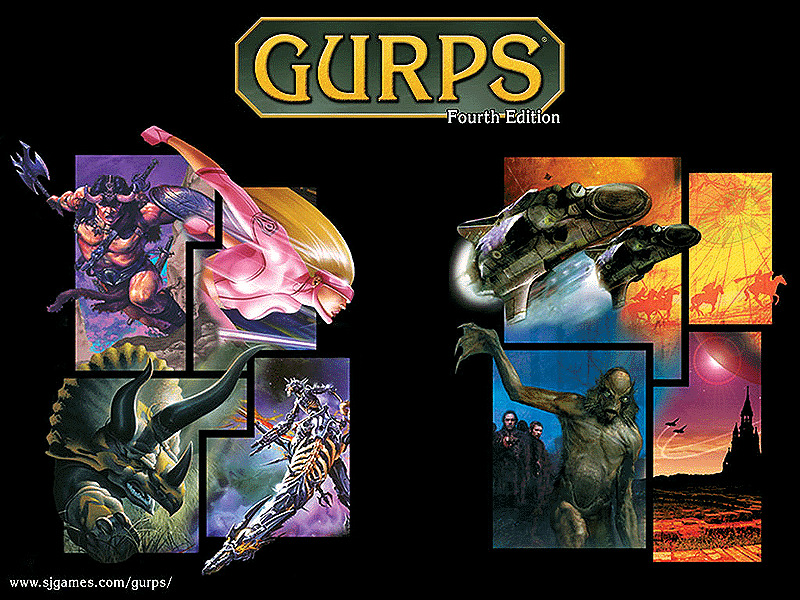 GURPS, the game system for which Saduria is written. See what is available to support the game, buy online, plus many links to a plethora of official and unofficial GURPS websites. 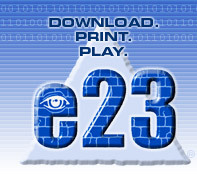 A forum to discuss Steve Jackson Games products. The GURPS sub-forum is in the second section. One of my favourite 28mm figure manufacturers. Their ranges of swashbucklers, pirates, renaissance and El Dorado adventurers contain several figures that may be used for the Sadurian era, even if slightly anachronistic. Plenty of medieval civilian and livestock too. Some really nice miniatures and genuinely nice people to deal with. I would be surprised if you can't find at least a few models that catch your eye. Some of the best sculpting I have seen! Check out the gallery of painted models to really get your taste buds going. A decent range of excellent figures. Several of the ranges can be used in a Sadurian setting. A first class painting service with long experience of painting both fantasy, pseudo-fantasy, and historical subjects. Have a browse through the gallery to see the quality on offer. They will even buy the miniatures for you to save you postage. A study of the evolution of both arms and armour in the period described. Although it necessarily only skims the surface of the subject, there should be sufficient useful information to entertain the casual student. The address for rest of the website is here. An independent RPG forum. Multiple subforum format includes everything from advice on designing RPGs, through LARPing, comic books and even the infamous Tangency where anything goes. It also covers playing RPGs, of course. It used to have a reputation for nepotistic and irregular Moderators, so assume that this still the case and try to steer clear of anything controversial and try to avoid getting into arguments. The site has numerous useful reviews of games and gaming supplements. A huge resource for all things connected to the Elizabethan period. Later than the period in which Saduria is set, but similar enough for some good ideas and inspirations. An excellent resource for calculating many aspects of a medieval world's demographics, from the number of villages to the scarcity of doctors. "Our aim is to eventually list and show every fantasy or science fiction miniature that has ever been released, as well as many of the ones that were never released. We'll probably never complete it, but we've all got to have a goal!" The website of the TV series. 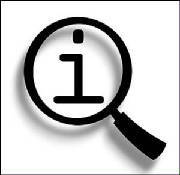 Nothing to do with RPGs, but a morass of interesting facts and debunkings that will keep you entertained for hours. The Forum ("Talk") is a goldmine! One of the best of the many D&Dx-inspired comic strips. Rich Burlew not only pokes fun at clichés and conventions, he does it and remains funny! A pseudo-Victoriana SteamPunk webcomic, Lots of lovely artwork, likeable characters, a complex and involved plot, and plenty of steam-driven robots. It's also funny. Warning - this is definitely adult humour! Fun of a distinctly sexual nature. Set in a medieval fantasy world, Oglaf can be hilariously funny, in particular the artist captures expressions perfectly. A webcomic with a Role-Playing theme whose characters can be anything from a Lego Darth Vader to a plastic T-Rex.. There are plenty of free online RPGs out there, but I would suggest that Guild Wars 2 is one of the better ones, if not the best. It is well written and has a dynamic world. Your character has a believable storyline to follow, but can also charge off to fulfil sidequests or simply slaughter the wildlife. Character classes are different enough to make your choice important to your game style, but are equally powerful in their own way. Cosmetically, your character has enough options (including different styles of armour) that you can easily create your own look. Importantly, the game promotes (but does not require) teamwork and cooperative play, although you can choose to indulge in Player versus Player (PvP) fights if that is your thing. A little Flash game with a lot of adverts and pre-loading to get through before the game starts! Stick with it, though, as the game is a good way to waste a little time. You build, nurture and equip your gladiator team through multiple cities of the Roman Empire. 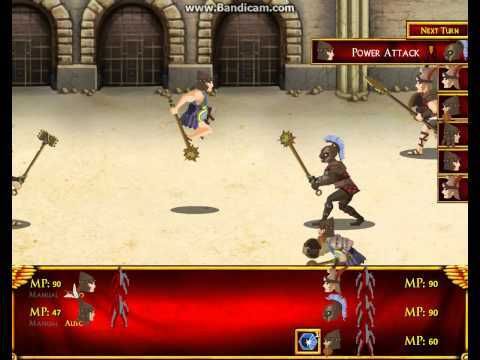 Each gladiator can learn different fighting techniques and you can choose which part of your opponent you'll target. Look out for ineffectively-armoured limbs! Your progress is saved when you log off, so it is a true campaign game. Lots of rather gruesome sound and graphic effects, so be warned! A browser-based (no downloads) resource management game where you develop your village(s) and fight off raids by your neighbours. Play as Gauls, Teutons or Romans. It is free but you can buy in-game Gold to get yourself an edge. The game continues when you log off, so this may well take over your life! Watch out for being 'farmed' when you start - experienced players will keep raiding you until you cannot maintain the resources to build strong enough defences. Join an alliance as soon as possible - lone settlements are seen as supermarkets by stronger players!